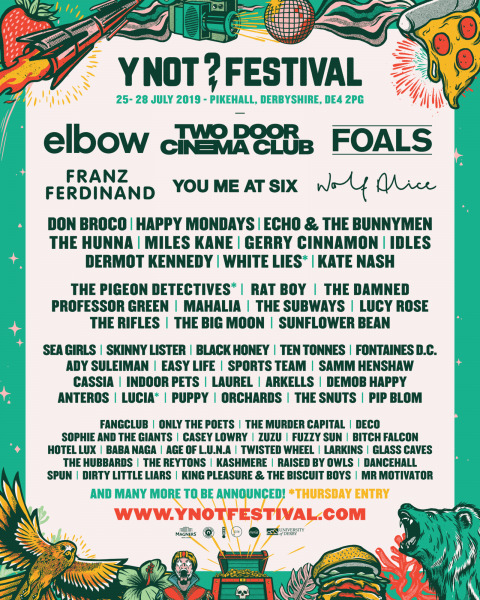 Elbow, Two Door Cinema Club and Foals are headlining this year’s Y Not Festival. 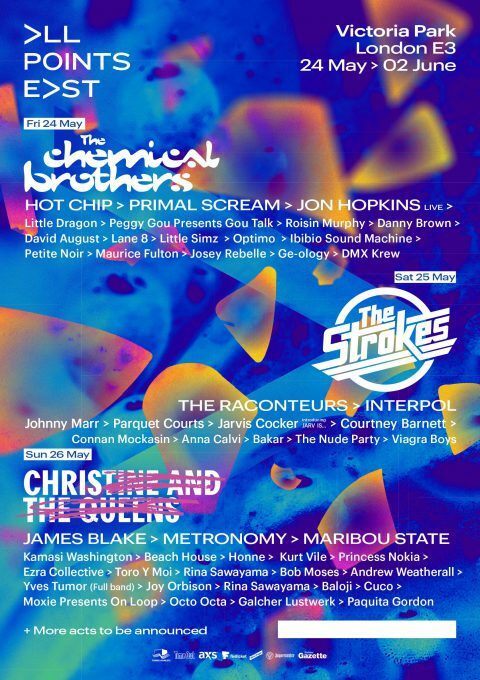 The Chemical Brothers, The Strokes and Christine and The Queens are headlining All Points East Weekend 1 2019. Frank Turner & The Sleeping Souls and You Me At Six are set to headline 2000trees Festival! 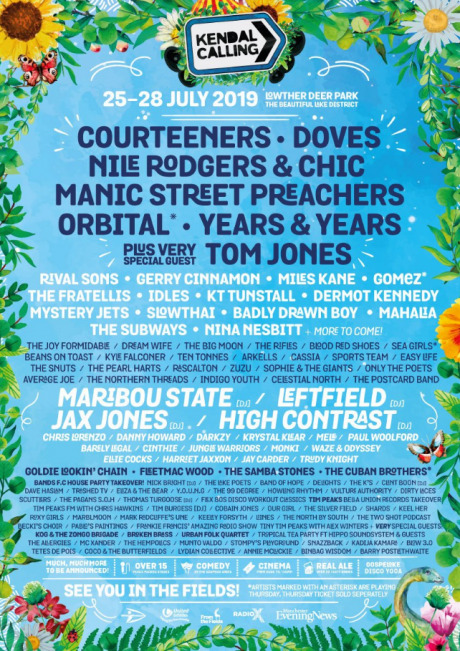 Beirut, Metronomy, Michael Kiwanuka and many more set to play at End Of The Road Festival 2019. 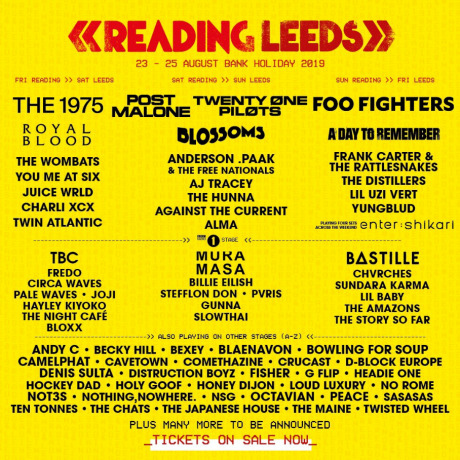 The 1975, Post Malone, Twenty One Pilots, Foo Fighters and many more set to play at Reading & Leeds Festival 2019. 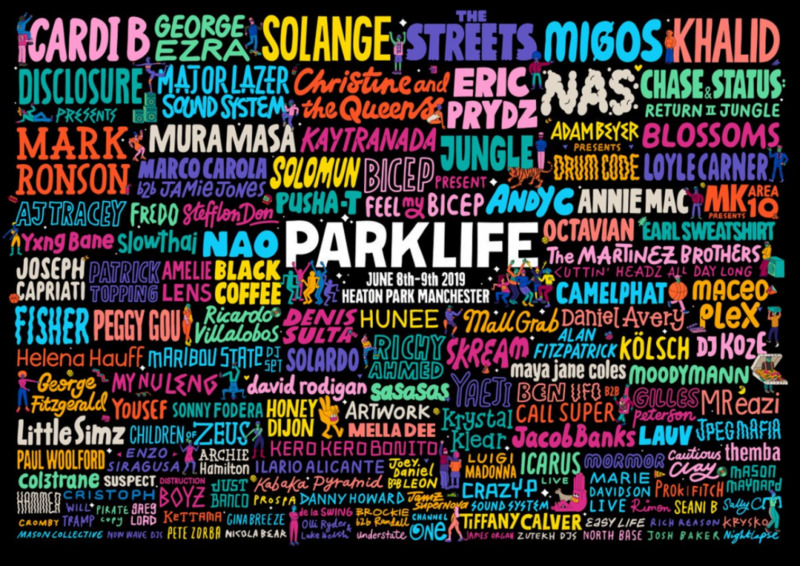 Cardi B, George Ezra, The Streets, Khalid and many more playing at this year’s Parklife Festival. Another amazing Kendal Calling line up featuring Courteeners, Doves, Nile Rodgers & Chic and more. 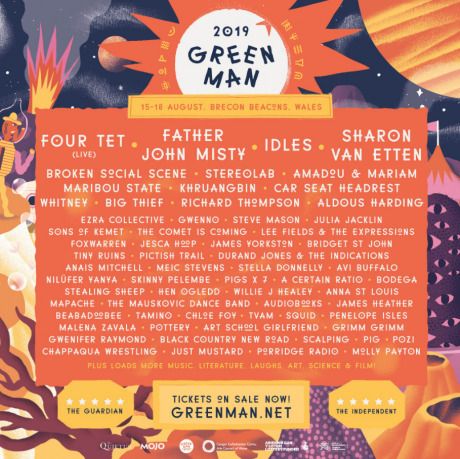 Four Tet, Father John Misty, Idles, Sharon Van Etten and many more to play at this year’s Green Man Festival. 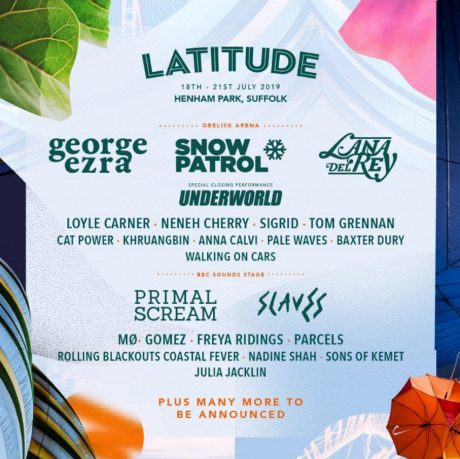 George Ezra, Snow Patrol and Lana Del Ray are headlining this year’s Latitude festival. 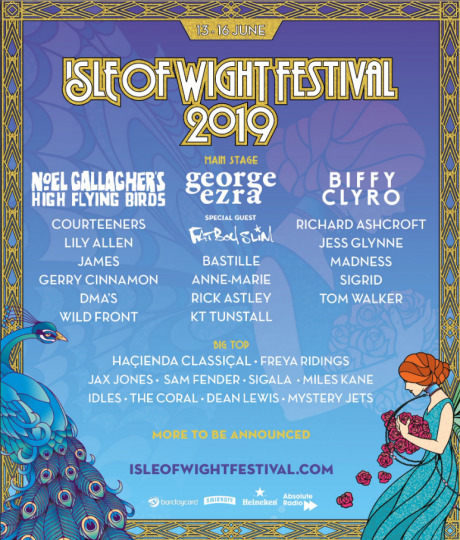 Noel Gallagher, George Ezra and Biffy Clyro are headlining this year’s Isle Of Wight festival. Skepta and Jorja Smith are headlining this year’s Field Day festival.